For the past one week, I have been trying out, baking cookies non-stop, almost every day. Had been so busy baking, I didn't have the time to update my post. These were the bakes I tried for CNY. 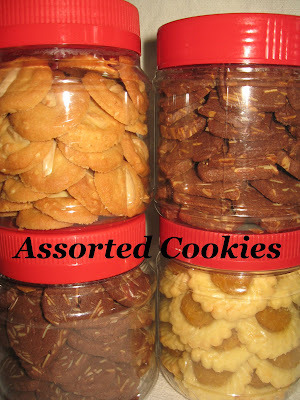 Assorted Cookies including Almond, Chocolate Almond & Pineapple Tarts. 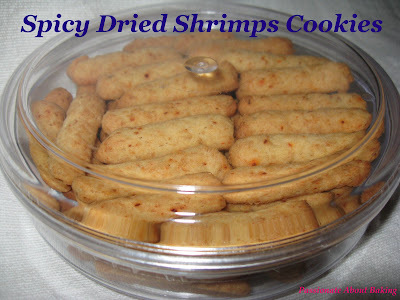 Dried Shrimps Cookies. This is a savour cookie. Very nice actually. 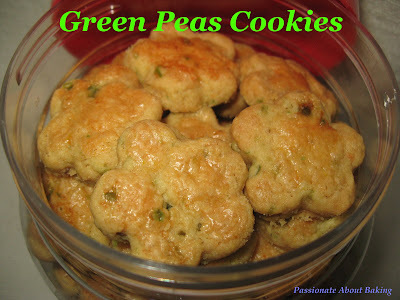 With so many sweet cookies around, good to have a savoury variety! 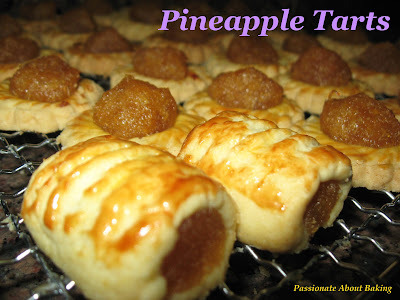 Another version of my pineapple tarts. 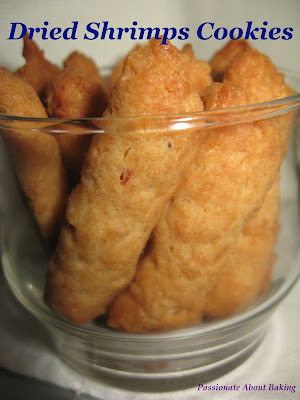 I varied the dried shrimps cookies to include some chilli flakes and called it Spicy Dried Shrimps Cookies. Wow, you've been really busy in the kitchen! I'm so envious! Jane, I did try the dried shrimps cookies...Actually, i borrowed the idea of using dried shrimps and use it as one of the ingredients in my own cookie recipe. Verdict? We are selling it for CNY this year at Chef Secrets. :) How's the taste? Well, ask Adeline. She's going ga-ga over it now. :) I also made for home. Hubby wants 10 tubs to give to his office staff.